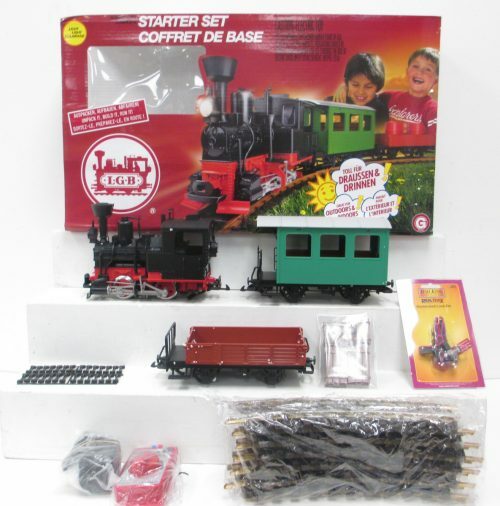 All aboard for years of big time fun with these sturdy battery-powered starter sets, each a fast, fun and affordable way to discover LGB(R) G Scale trains and accessories! 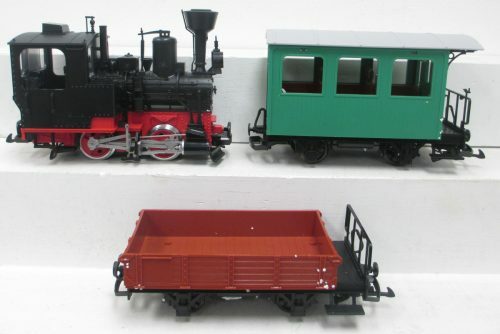 Like all LGB products, they’re built tough for years of enjoyment, but these sets have been carefully designed especially for younger railroaders in the family. Each is complete with steam cars, steam loco, a complete circle around an oval of regular LGB brass track and can be used with other toys for hours of imaginative, creative play. 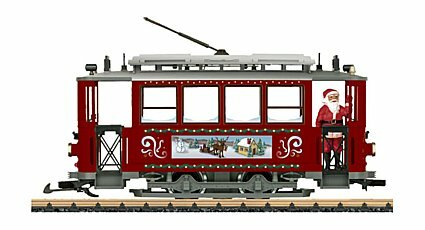 Each set features a battery-powered locomotive for safe and easy operation without electricity, and a simple, hand-held controller that works just like a TV remote to control 3 speed levels, forward, reverse and four different sounds. All sets come with batteries (three size C and three AAA), to start the fun right away. 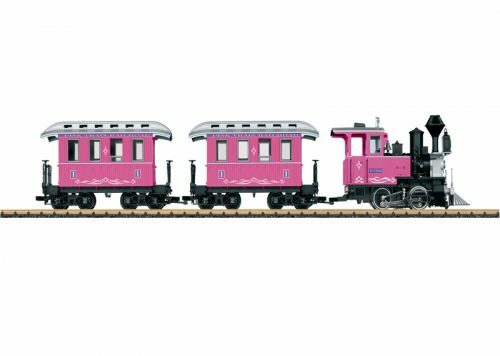 Begin building your model railroad with this colorful starter set. It’s designed for durability and can be used indoors or out. A steam locomotive with working headlight leads two freight cars around the track. This battery-operated set includes an infrared controller, batteries and an instruction manual.